This orzo pasta salad is filled with all of my favorite flavors… dijon mustard, balsamic vinegar, tomatoes, basil, and garlic. Simple and sophisticated, this dish can fill all your summer party needs! 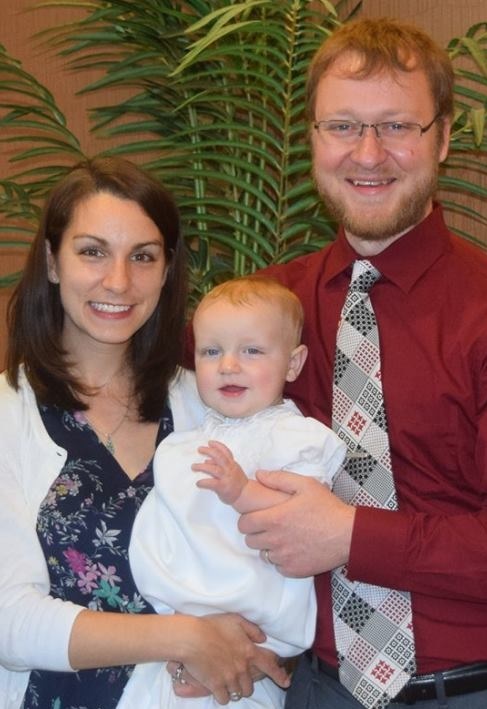 Ben and I moved to a new house this spring. Though we’re still in Nashville, we are on the other side of town, and as such, have had to get used to new everything. New grocery stores, new commutes, new running paths(!!! ), new neighbors… and a new farmer’s market. Our local market is only a couple years old, and as such, is still pretty small. BUT size does not equal quality. Quality > quantity, ya know? Last weekend at the market, I couldn’t resist ALL the lovely tomatoes that have started to pop up. They’re juicy and sweet and oh-s0-pretty. And what better dish to celebrate summer tomatoes than a pasta salad? 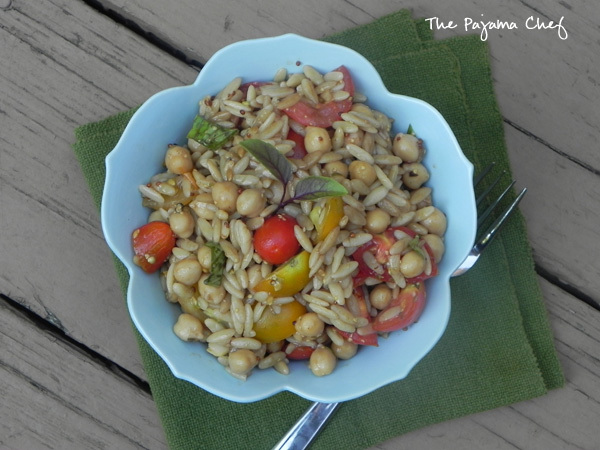 This orzo and tomato pasta salad comes together, as its name implies, with a fantastic dijon-balsamic dressing. It’s funny, I found this recipe on Heather’s blog, Join Us, Pull Up a Chair. She’s my Secret Recipe Club assignment for the month of July… and her family didn’t care for the salad very much due to the tanginess of the dressing. But I made it anyway. HA! I read the recipe before the blog post so that explains it. And the dressing was tangy, for sure. I adjusted the proportions a little but the balsamic and dijon flavors are pretty prominent and strong. If the dressing is too tangy for your taste, add more extra virgin olive oil, or add some honey. Ben and I thought it was perfect, a great pairing with the sweet tomatoes and fresh basil. MMM! 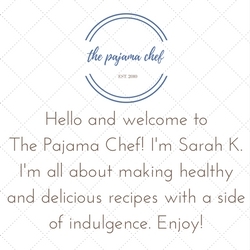 One of the reasons I love participating in the SRC is getting to check out the blogs of other foodies. There’s always SO many good recipes to choose from. Heather started her blog several years ago as way to organize all her recipes because they were taking over her office. I can relate to that! Some of the other recipes I found on her blog that I can’t wait to try include snickerdoodle biscotti, Kung Pao chickpeas, cranberry hootiecreeks [what an awesome name for a cookie! ], and cranberry vanilla shortbread cookies. If any of those recipes sound up your alley, be sure to check out Heather’s blog! I’m sure you’ll love it as much as I do. And don’t forget to make this dijon balsamic orzo salad, stat! Enjoy! Cook orzo according to package directions. 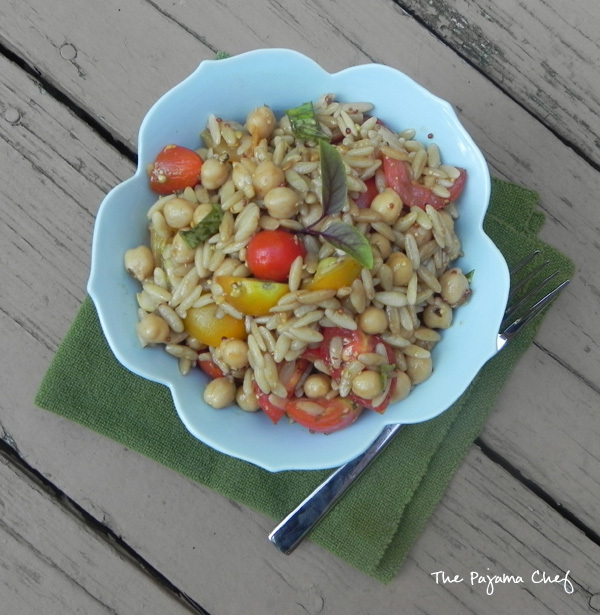 While orzo is cooking, toss tomatoes and chickpeas together in a medium bowl. In a small bowl, whisk together olive oil, vinegar, mustard, oregano, and garlic. When pasta is cooked, drain and then place in bowl with the tomatoes. Stir together, then pour dressing and toss to coat. Season with pepper to taste, then stir in basil or use as a garnish. If the dressing is too tangy for your taste, add more extra virgin olive oil, or add some honey. Salad tastes great warm, at room temperature, or cold. Also, it doubles easily! Add other veggies or some cheese if desired. Click below for more recipes from this month’s edition of the Secret Recipe Club! Looks like a nice, original, summer side! So glad you liked this salad and for the sweet words! I definitely need to try it again and add a little honey to tone down the balsamic and dijon. What a perfect summer salad! Looks delicious! Visiting from SRC C! Pasta salads are the best!!! 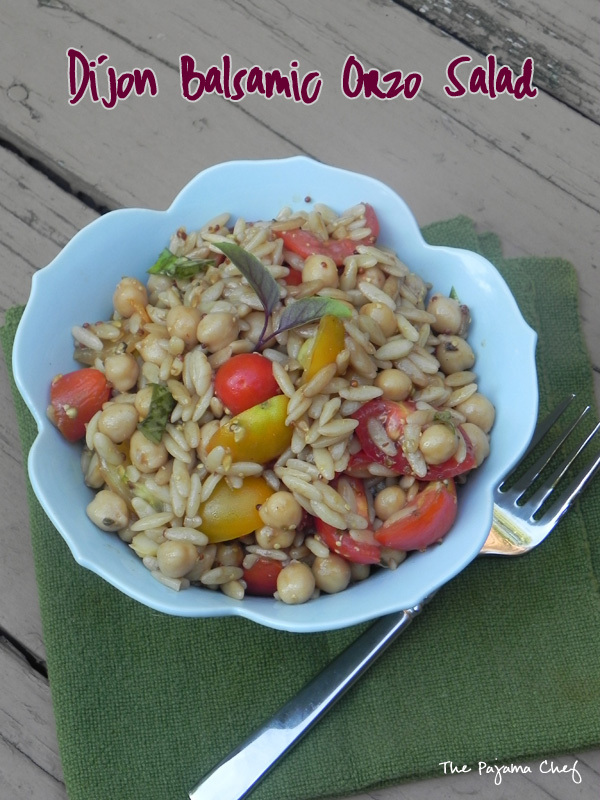 I love this summer orzo salad. I’ve been buying so many tomatoes lately too – they are just so good right now! This salad looks fantastic – so many of my favorite things! Great Salad – perfect for a summer BBQ! Great choice for SRC group C! I don’t think summer tomatoes have quite boomed here yet, but when they do, I’ll definitely be making this! Love that dressing.